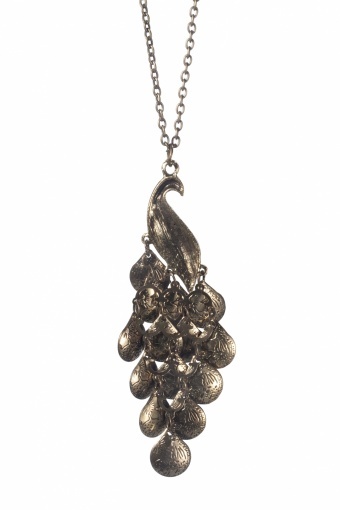 Long 40s Fairytale Peacock bronze necklace by FROM PARIS WITH LOVE! Very elegant antique-look bronze metal (nickelfree) necklace with peacock pendant. 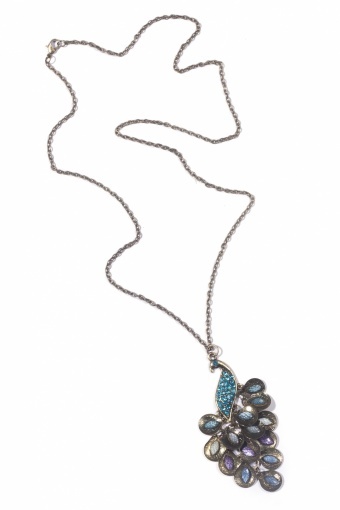 With turquoise strass details on the birds body and it's eye. 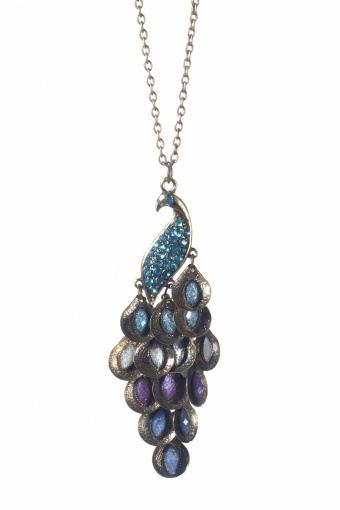 It's tail feathers are separately connected to the pendant which creates a really special effect and every tail feather holds a faceted bead in various blue and purple tones. A real eyecatcher!